Taste the flavors of every season with the lunch/dinner provided by the spa! Very enjoyable experience! I enjoyed it so much! The only pity is that day the weather was raining so a little bit cold! 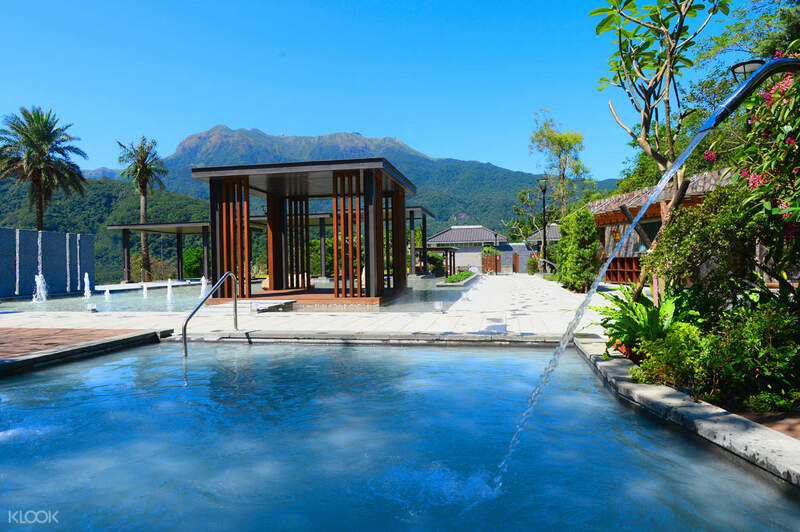 Enjoy a day of pampering and relaxation with a visit to Yangmingshan Tien Lai Resort & Spa, a gorgeous resort in Taipei's Jinshan District. 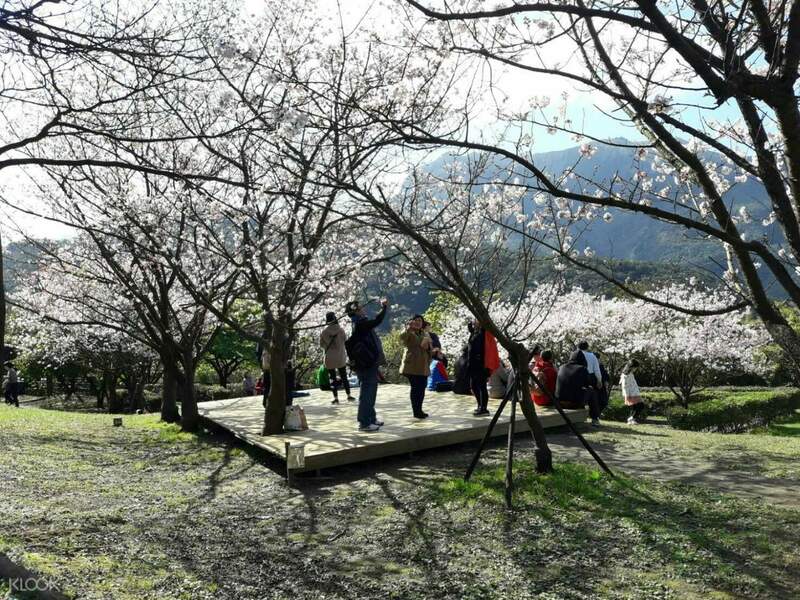 With its numerous natural hot springs, beautiful architecture, and a picturesque view of the surrounding mountains, it's the perfect place to visit for those who needs a break from the business of everyday life. Spend an entire day immersing yourself in the hot waters of the springs, with high-quality white sulfur that's said to have healing properties, as you take in the serenity of the area. Taste the flavors of every season with the lunch or dinner meal that will be provided during your stay, using only the best and most flavorful ingredients of the current season. Try some boiled eggs, hard or soft, carefully cooked in the spa's hot waters. And with the spa's multiple amenities including showers with toiletries, locker/changing rooms, and even a water dispenser, there's no need to worry about what to pack! Enjoy a lunch or dinner meal, catered to the flavors of every season, and try some spa-boiled eggs! My family and I had a great experience with the hot spring. We were informed that travelling to the resort by bus from taipei would take 3 hours so we decided to take an uber ride which is only 45 mins. It was raining during the time we got to the hot spring. The staffs are accommodating and they provide good service. Upon check in, please request for a shower cap or bring your own swimming cap as they wont allow you to dip in the hot spring without hair cover. They will provide locker keys to the shower room as well as towels and slippers. The shower have clothes dryer, hair dryer, shampoo and body wash as well as hair brush. You can choose from different temperatures of water from cold to very hot. Each pool have different temperature, there are signage on each pool but I just hope that they have an english translation of each signs so that foreigners can understand the benefit to the body of each pool temperature. They even have an indoor hot spring. They also provide lunch/dinner buffet. For our trip we opted for the lunch buffet. You have to reserve prior to your arrival at the resort. 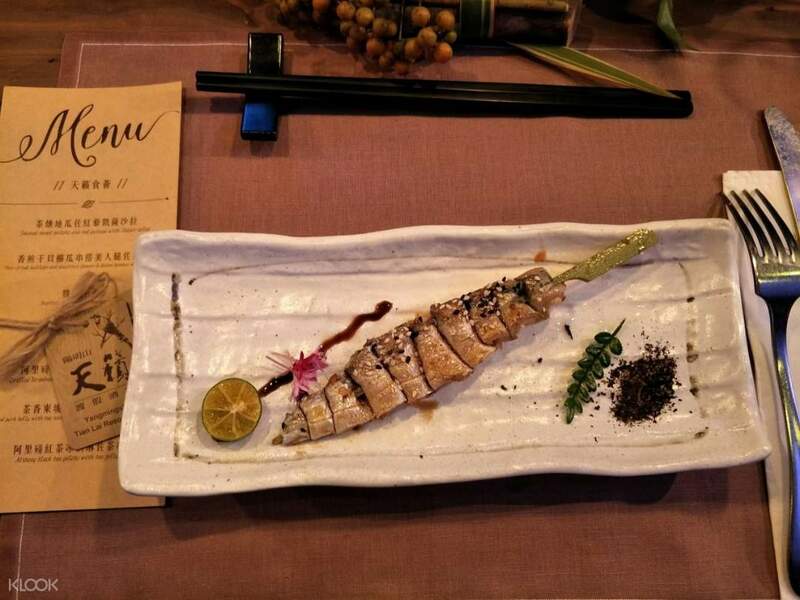 They have various choices of food, drinks and desserts. The food are great and delicious. Going back to taipei you can either request for a taxi in the reception area o ride with the shuttle going to the bus terminal. Overall, our stay and experience on the hot spring is great and relaxing. My family and I had a great experience with the hot spring. We were informed that travelling to the resort by bus from taipei would take 3 hours so we decided to take an uber ride which is only 45 mins. It was raining during the time we got to the hot spring. The staffs are accommodating and they provide good service. Upon check in, please request for a shower cap or bring your own swimming cap as they wont allow you to dip in the hot spring without hair cover. They will provide locker keys to the shower room as well as towels and slippers. The shower have clothes dryer, hair dryer, shampoo and body wash as well as hair brush. You can choose from different temperatures of water from cold to very hot. Each pool have different temperature, there are signage on each pool but I just hope that they have an english translation of each signs so that foreigners can understand the benefit to the body of each pool temperature. They even have an indoor hot spring. They also provide lunch/dinner buffet. For our trip we opted for the lunch buffet. You have to reserve prior to your arrival at the resort. They have various choices of food, drinks and desserts. The food are great and delicious. Going back to taipei you can either request for a taxi in the reception area o ride with the shuttle going to the bus terminal. Overall, our stay and experience on the hot spring is great and relaxing. I celebrated my birthday here. Very nice place! Just present the Klook voucher in the front desk representative. The food for lunch is included in the package and it is so worth it! I felt like I get more than what I paid for. Thank you!! I celebrated my birthday here. Very nice place! Just present the Klook voucher in the front desk representative. The food for lunch is included in the package and it is so worth it! I felt like I get more than what I paid for. Thank you!! Very enjoyable experience! I enjoyed it so much! The only pity is that day the weather was raining so a little bit cold! Very enjoyable experience! I enjoyed it so much! The only pity is that day the weather was raining so a little bit cold! This is my first time experience hot spring in this hotel, I had chosen the public hot spring and the environment is very nice and clean. 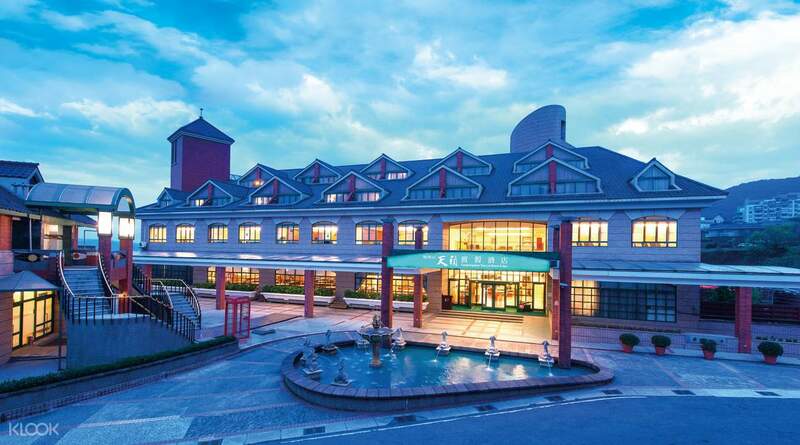 There are many hot spring pools to choose from depend on the temperature you are comfortable with and lunch buffet is also very good with variety of food to chose from. Definitely will go again. This is my first time experience hot spring in this hotel, I had chosen the public hot spring and the environment is very nice and clean. There are many hot spring pools to choose from depend on the temperature you are comfortable with and lunch buffet is also very good with variety of food to chose from. Definitely will go again. The Yangmingshan outdoor spa and lunch package was a treat! The food (lunch buffet) was amazing, and the royal bus 1717 will drop you off directly in front of the hotel and resort. It was a fun, relaxing and yummy filled experience. I will totally come back and do this all over again. The Yangmingshan outdoor spa and lunch package was a treat! The food (lunch buffet) was amazing, and the royal bus 1717 will drop you off directly in front of the hotel and resort. It was a fun, relaxing and yummy filled experience. I will totally come back and do this all over again. 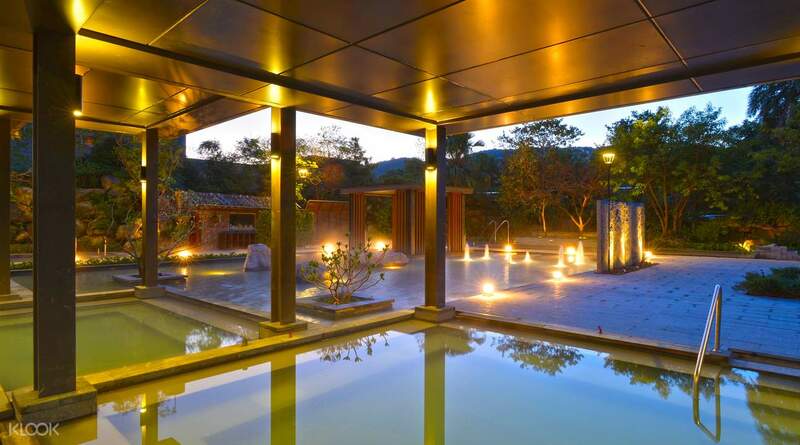 If you are looking for a relaxing and peaceful spa and hot spring, this is the best place to go to. The free lunch food was beyond our expectation as they offered a full course meal. The facilities are clean and the location can easily be found via public bus transportation. If you are looking for a relaxing and peaceful spa and hot spring, this is the best place to go to. The free lunch food was beyond our expectation as they offered a full course meal. The facilities are clean and the location can easily be found via public bus transportation. It was a great experience. The facility was superb and the staffs were accommodating though not many of them are good in speaking English but nonetheless were still helpful. The lunch was great as well. However, you really have to plan your trip carefully most especially if you’re taking a public transportation as the place is really outside the city area. It was a great experience. The facility was superb and the staffs were accommodating though not many of them are good in speaking English but nonetheless were still helpful. The lunch was great as well. However, you really have to plan your trip carefully most especially if you’re taking a public transportation as the place is really outside the city area. The hot spring spa was relaxing and unique as well. Weather was great. We really had a nice time. The hot spring spa was relaxing and unique as well. Weather was great. We really had a nice time.